1) Apolo Dantés & Cesar Dantes b Comando Ruso & Espectro Jr.
Ninja Turtles were Guadalupe mata, Martin Ocana, Oscar Gonzalez, Vincente Gonzalez. no lineup posted, but next week's preview says this title change happened. ** 3/4. straight falls, Octagon accidently hit Huracan with a foul, leading to both of them being defeated by Fuerza. ***. Straight falls. Dandy eliminted, attacked Satnaico for the DQ, challenged him to a hair match. Ministro b Diabolicos for the titles the previous week. 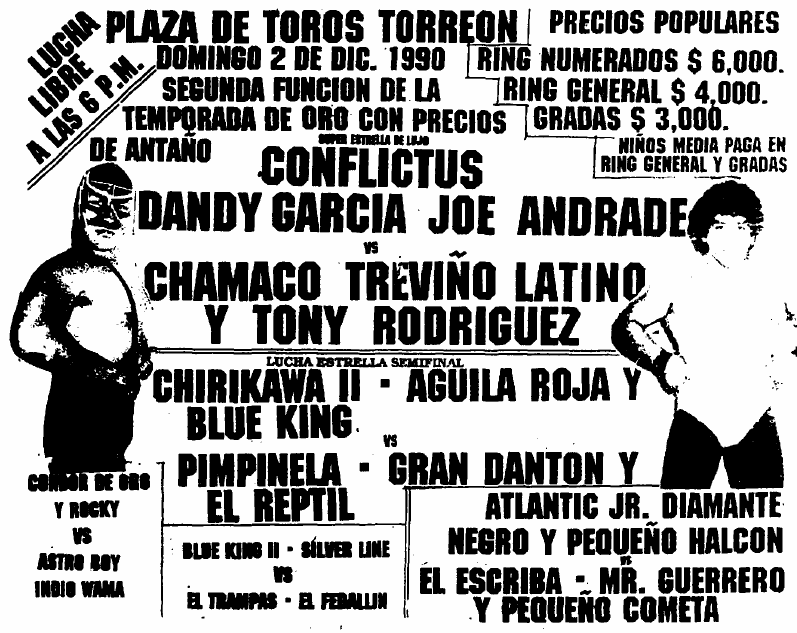 Event Notes: date unclear; aired with the 12/14 Arena Mexico matches. ** 1/2. Mendoza pinned Blondy after pulling off his wig. **** 1/2. 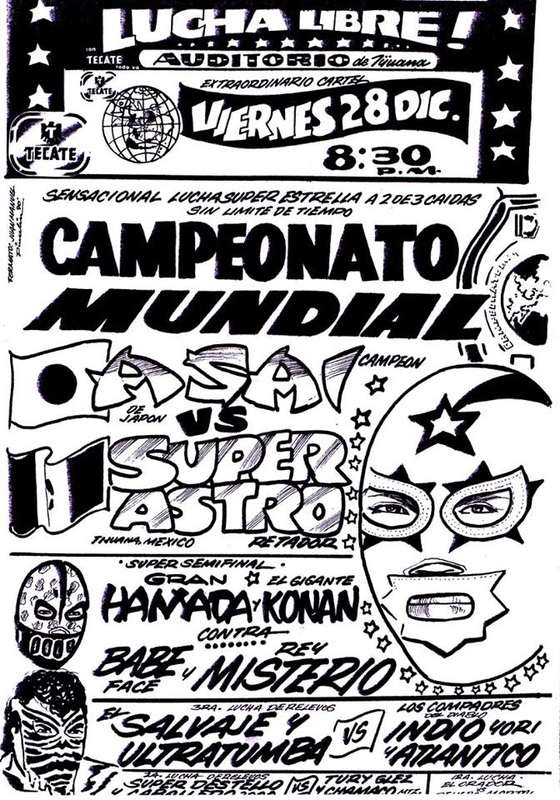 Dandy won the first in 4:39, Satanico won the 6:06, Dandy faked a foul for the win in 12:18. Guerrera pinned Ramirez in 3:26, then Octagon in 5:23 to make it Octagon vs Fuerza Guerrera. Octagon got the win in 4:06. Huracan Ramirez is Juan Sevilla Gonzales, and would wrestle as Huracan Sevilla going forward. He separated his shoulder right before the end of the match. 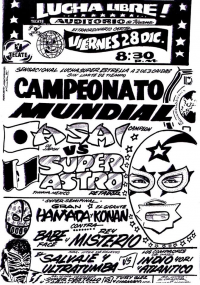 Event Notes: Queen of Lucha Libre Vicky Palacios presented plaques to the top five luchadores for EMLL. 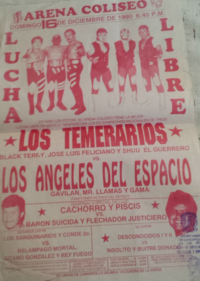 They were Rayo de Jalisco Jr., Octagon, Lizmark, El Dandy and Atlantis. 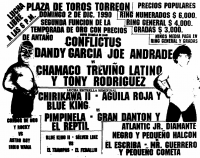 5) Eddy Guerrero & Pirata Morgan b Cinta De Oro & Emilio Charles Jr.
1) Flanagan vs Atlantic Jr.
5) El Cobarde & Rocky Starr b Konnan & Rayo de Jalisco Jr.
1) El Crador vs ? 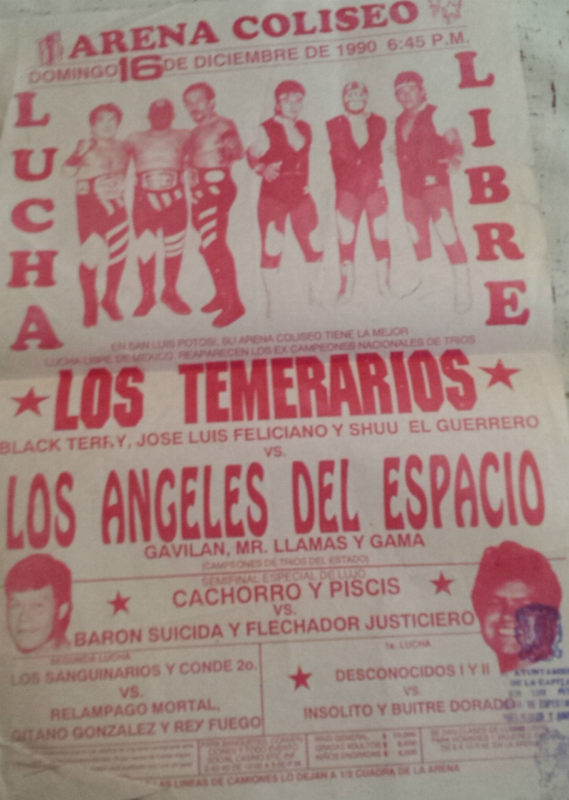 2) Espectro Jr., Jaque Mate, Javier Llanes b Gran Sheik, Scorpió, Scorpió Jr.
1) Brazo de Oro, Brazo de Plata, Canek, El Brazo b El Hijo Del Santo, Mil Máscaras, Tinieblas Jr., Tinieblas Sr.